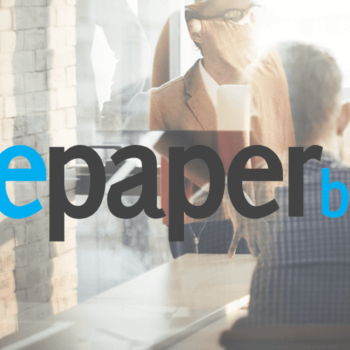 Visit Advisorbox BluePapers for more details about Broker Protocol. Here are some of the basic aspects of Protocol for advisors to keep in mind. We speak with wirehouse advisors who get nervous and concerned about Protocol and others who take it more in stride as part of the business. While following Broker Protocol should be taken extremely seriously by the advisor, if you act in good faith and follow the procedures, you’re going to be okay. To be safe only take this information from clients you personally acquired, developed, and brought to the firm. Don’t take copies of monthly statements, flash drives, client files or any other client documents (paper or electronic files). Don’t take copies of client account numbers or details. Don’t print from the office or email your personal email address client information. “Don’t tell anyone” is the discretion direction Protocol brokers should follow. If the “word” gets out it can lead to your manager to take preemptive action against you through termination or a surprising and sudden compliance issue leading to an unsettled disclosure. Telling your friends, peers, assistants, and even family about your move prematurely can have serious consequences. Both the departing AND receiving firms must BOTH be members of the Broker Protocol for the departing advisor to receive the protections granted by Protocol. While there are 1598 current members as date of this Blue Paper don’t assume the firm you are joining is a member of Protocol. Your resignation letter should be in writing and personally delivered to the branch manager. Don’t pine on about all the good reasons you are resigning. The longer it is the more likely you are to get yourself in trouble. Include two lists with the letter: Copy of list of allowable client information (name, address, phone number, email, and account title) you’re taking. Copy of list of account numbers for the clients you serviced. However, the account number list is only for the manager and this copy you do not take home. It’s common for wirehouse advisors to be on teams and if you are on a team there are different aspects to consider. If you’re currently on a soon to be “left behind” team you’ll want to find your team agreement. The agreement should spell out client rules and usually are restrictive to a departing team member. The team agreement should also be given to your legal council advising you on Protocol. If there is not a written team agreement and you have been on the team less than 4 years then Protocol only protects the clients you brought to the team. If you have been a producing advisor on a team for 4 years or more, all team clients are fair game. Advisorbox strongly advises advisors engage a Protocol experienced attorney to ensure that all requirements are followed. 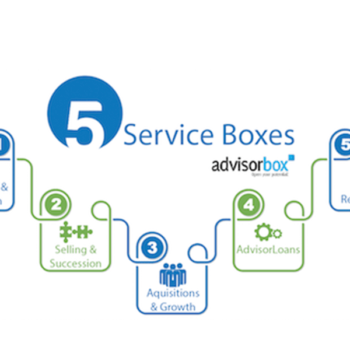 Advisorbox is not a law firm and does not provide legal advice. This overview is provided for general information purposes only. Find Protocol experienced attorneys on the Advisorbox Directory.